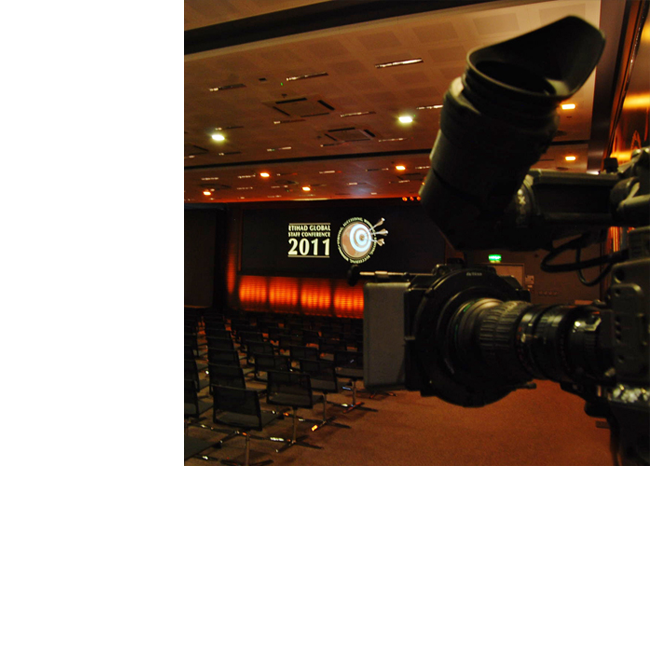 By staying abreast with technology, Protec Video has earned an unbeatable reputation as the leading video hire company in the region. 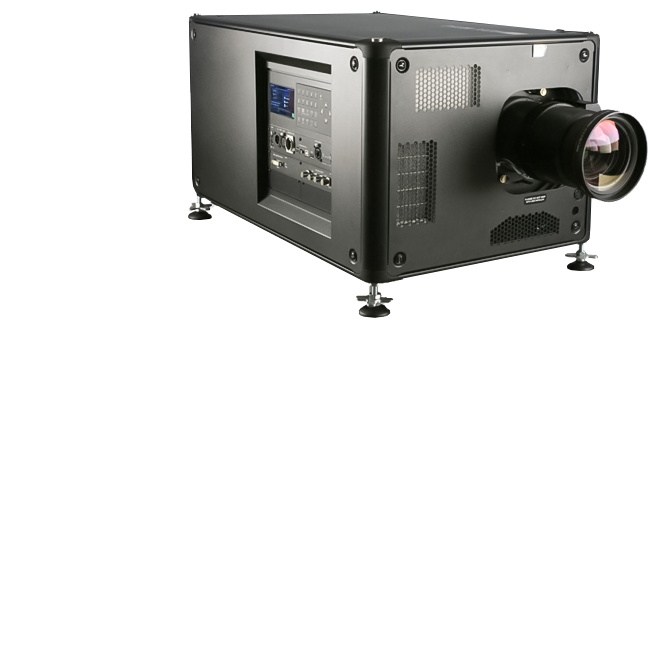 OmniCal is a camera-based projector calibration system used in conjunction with Disguise (d3) media server products. OmniCal quickly creates a 3D representation of your stage by projecting light patterns from the Disguise server by the projectors. These patterns are captured by the cameras and relayed over the network back to the server translating the data into a ‘point cloud’. OmniCal calibrates the relationship between pre-existing 3D meshes and projection surfaces at sub-pixel accuracy. In the event that the stage, projection surfaces or even projectors are moved, OmniCal can instantly adjust its calibration to match. Any discrepancies between 3D meshes and the physical surfaces they represent can also be corrected. 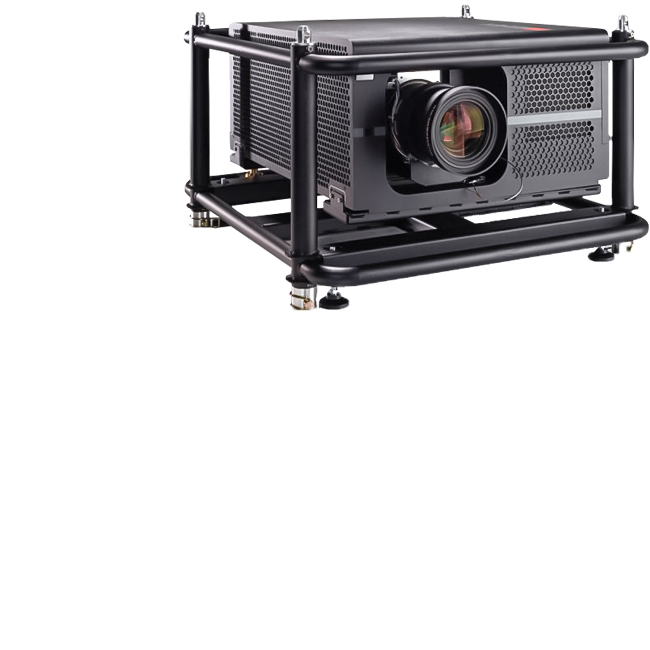 OmniCal can dramatically improve projection quality and set up time, for even the most complex of setups. 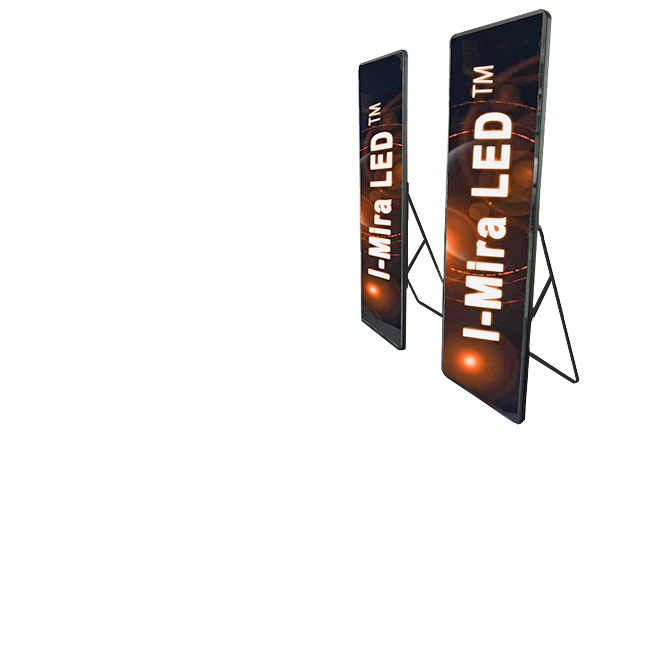 Poster display with LED technology with audio output. Multiple curved LED screens for indoor events. 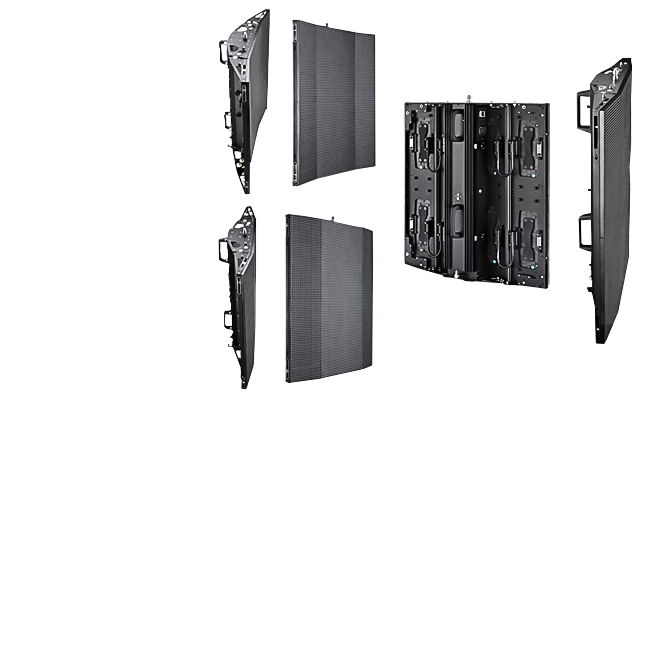 Convex or concave curved video walls with angles between 10° and -10° with seamless connection between panels.  SHARP AQUOUS; LG; SAMSUNG; HITACHI; INTERTEC SYS; VIEWSONIC; MARSHAL; SONY; UNICOLL. 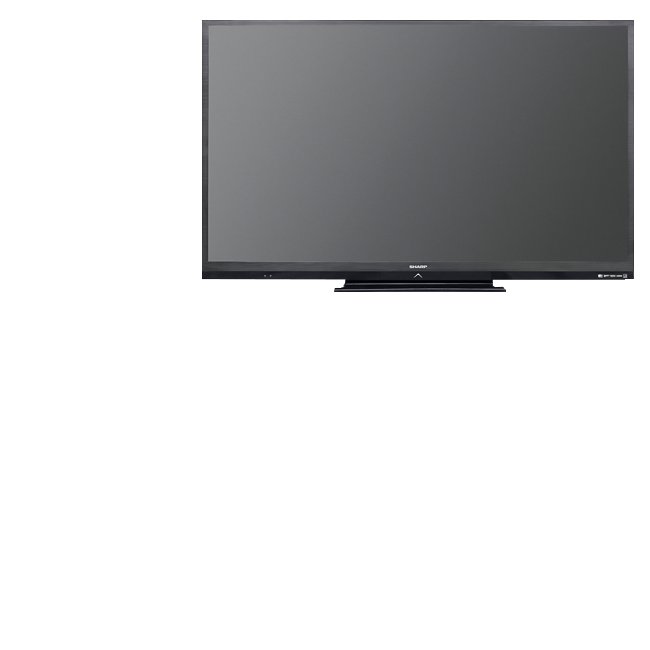 Offers the most powerful H.265 4K and Full HD video engine with 4K upscaling and dual decoding of one 4K and one Full HD video simultaneously. 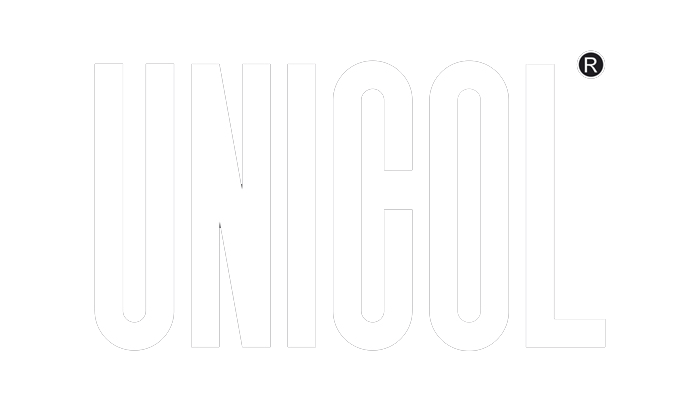 Delivers the best HTML5 rendering performance available for Enterprise applications.  Includes the standard I/O package of gigabit Ethernet with POE+, GPIO (GPIO connectors sold separately), IR, analog and digital audio and an M.2 SSD interface. 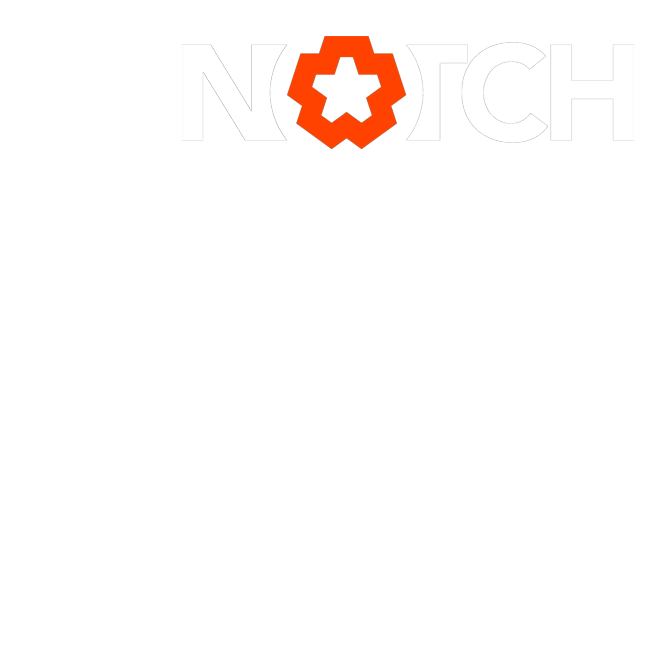 Notch – a real-time visual effects software created by 10bit Technologies, is great video graphics tool for interactive content and live visual effects. This node-based, real-time compositing software package can be used as either a stand-alone media server or in conjunction with our existing systems like BlackTrax and d3. It can be used to create and play back generative effects in real-time enabling the editing and creation of HD content in a node-based environment. Because Notch content is rendered in real-time on the GPU, it can be used to add effects to a live video capture. 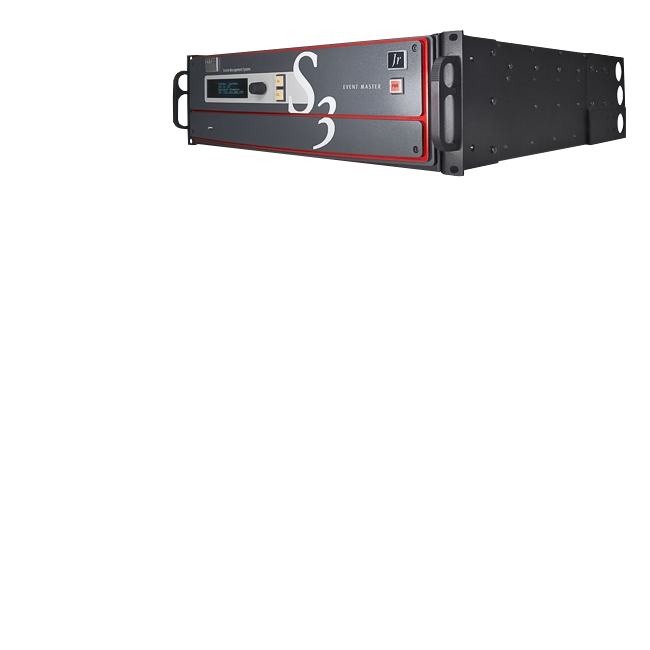 It can also be configured to respond to live stage data, and thus, it can be triggered through audio, MIDI or automation. 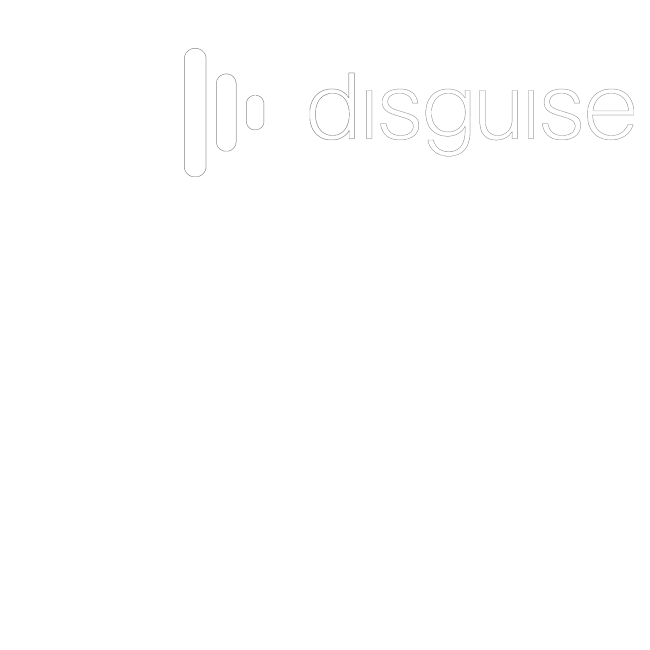 disguise Technology is more than just a media server. Based around a real-time 3D stage simulator, it is the single solution needed to design, present, communicate, sequence and playback your show. d3 lets you work with props, venues, LED screens, projection, lighting and moving stage elements, while being completely integrated into a single intuitive software solution running on dedicated d3 hardware. 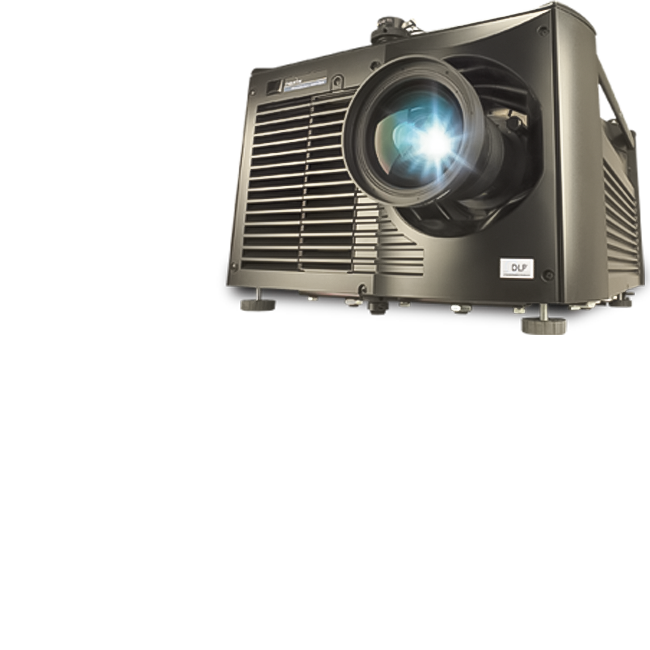 A turnkey solution that perfectly unites state of the art rendering technology with intuitive media and show control. A high-quality server featuring a powerful render-engine offers real-time compositing in 3D and allows for projection onto any shape and any surface. 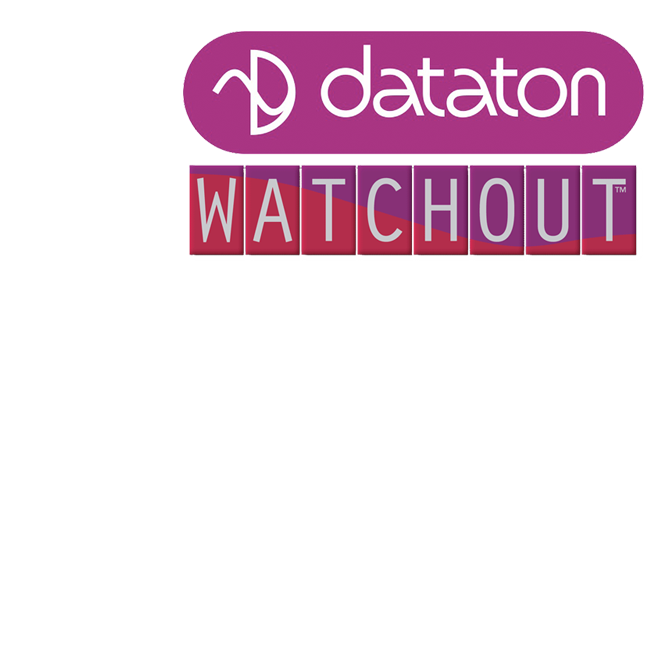 Dataton WATCHOUT multi-display software lets you orchestrate stills, animations, graphics, video, sound and live feeds across multiple display areas, soft-edge or scattered. 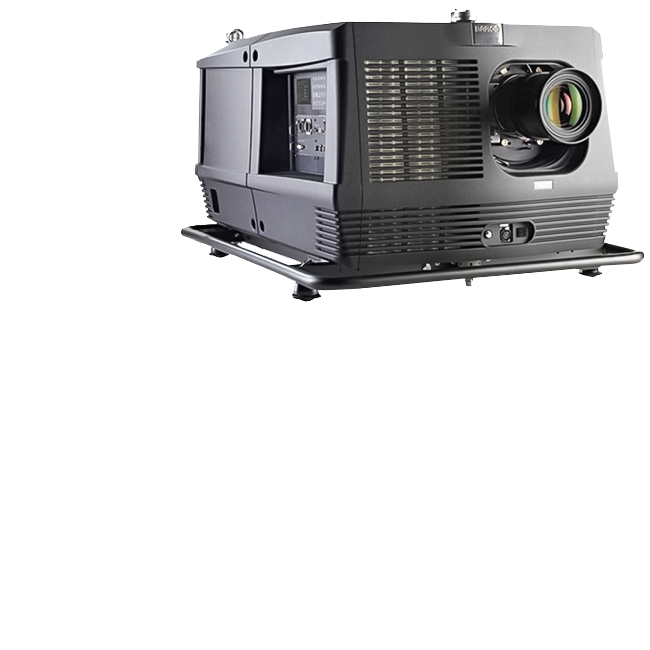 Raising the bar for live screen management, the E2 presentation system provides superior image quality, exceptional input and output density, great expandability and durability. 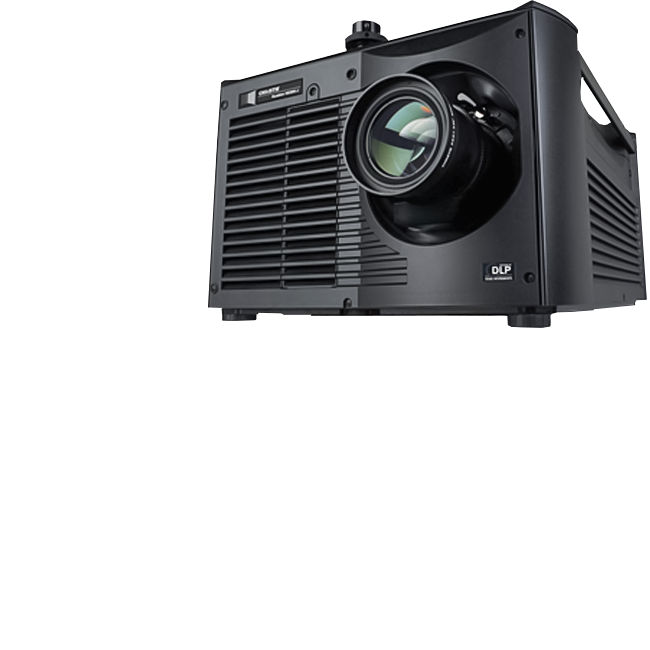 Supporting native 4K input and output, it is the first and only screen management system on the market that can manage a 4K projector blend with refresh rates up to 60Hz. 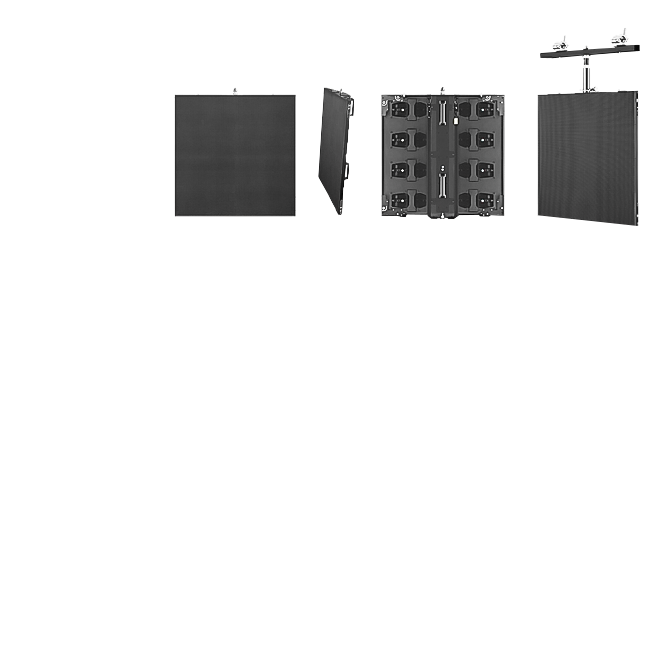 A truly versatile system, it offers eight mixable PGM outputs and four scaled Aux Outputs for full show control with a single box. By linking the Ex with other Event Master processors (E2 or S3-4K) you add input and output capacity, expanding the scaling and switching power of the entire system. 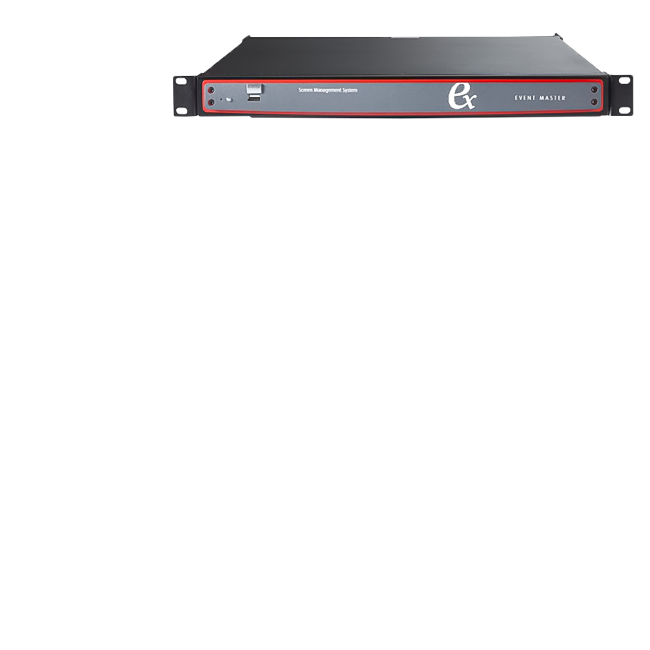 The Event Master EC-50 event controller delivers instant access and great situational awareness for everything from trade show booths to large corporate events and even music tours. 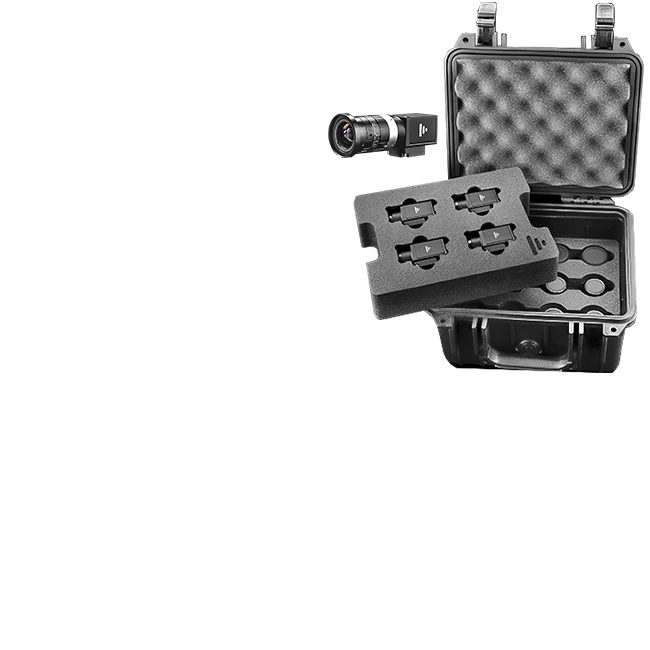 Its small footprint makes it suitable for most control environments, while simultaneously packing all the power and durability needed for instant access to crucial functions. 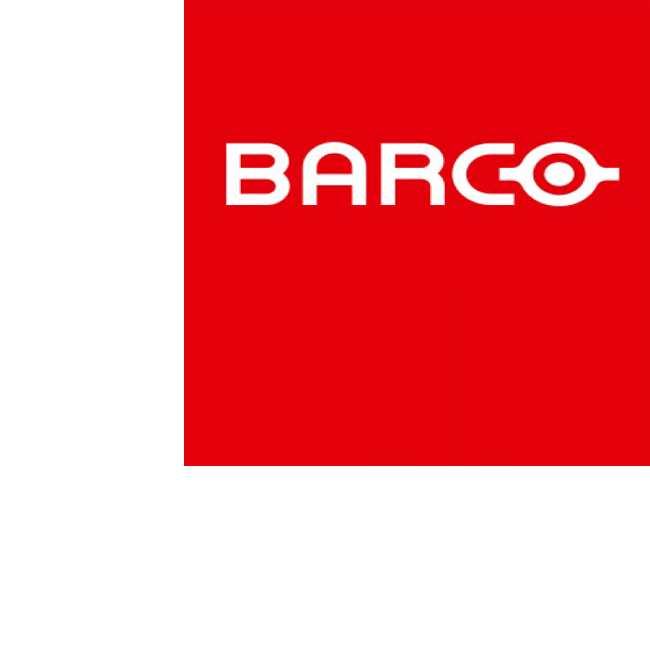 As an extension of the Event Master toolset, the EC-50 brings sources, presets, layers, and destination selection at your fingertips, along with a second, touch-enabled display. 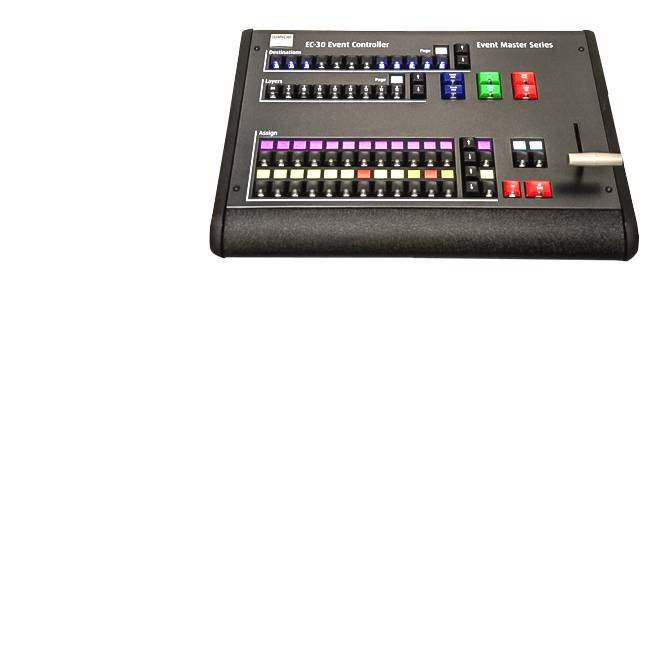 The most compact version of the Event Master controllers delivers instant access to the most crucial features, for everything from a tradeshow booth to a large corporate event, or even a music tour. 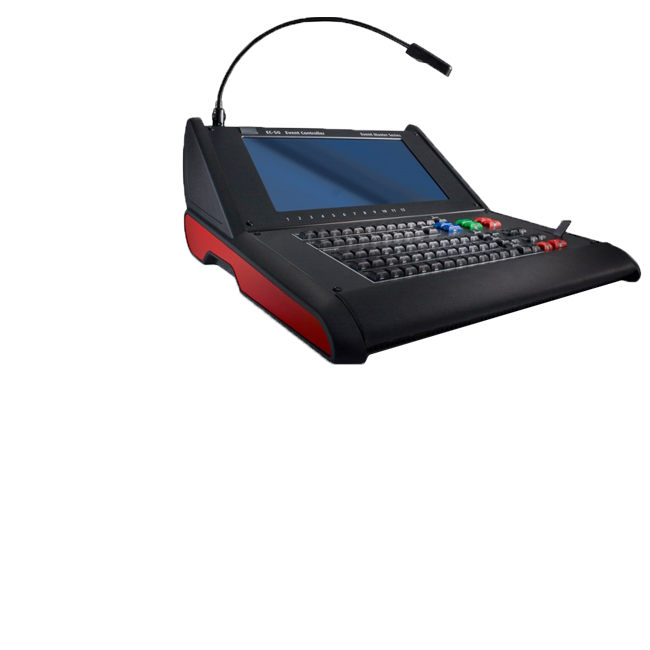 The EC-30 gives the operator a compact surface and simplified workflow, while still providing fingertip control where budget and space are the deciding factors. The EC-30 is an extension of the Event Master toolset, bringing the essential selections for sources, presets, layers and destinations to your fingertips. As a USB peripheral added to your existing Event Master control computer, it is the most cost-effective and compact alternative to a full-sized controller. Modular, scalable presentation switcher. 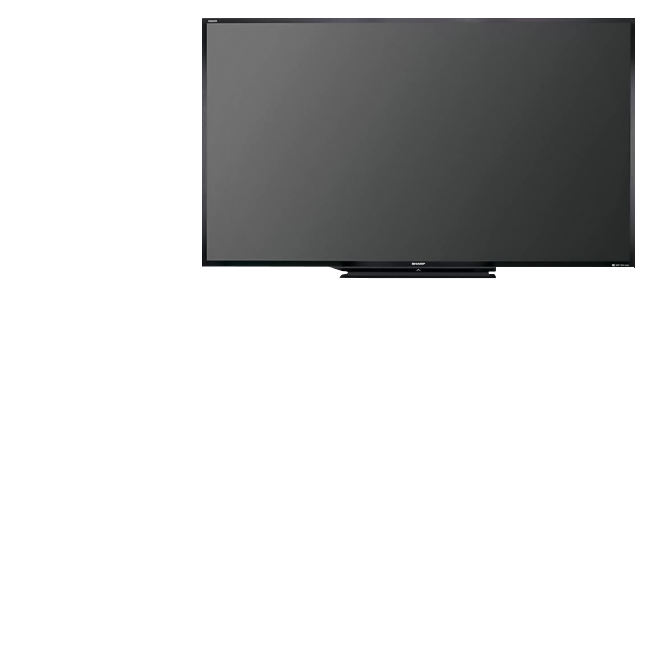 This system provides source selection, automatic source acquisition and configuration, advanced windowing features, seamless switching, video effects and integrated control for professional video presentations. 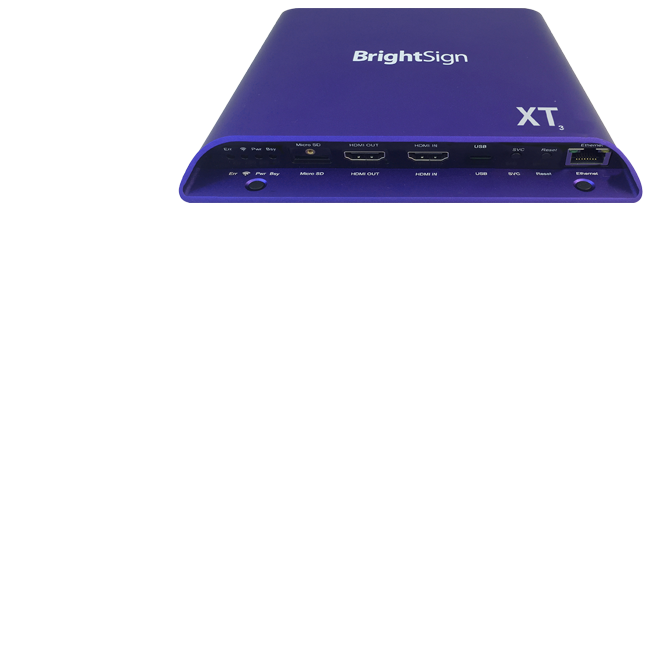 All-in-one video scalers, scan converters and switchers.